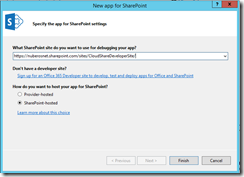 Troubleshooting Windows Azure Workflow in a SharePoint 2013 CloudShare Environment! Last week while I was doing a SharePoint 2013 training using my CloudShare environments as the training platform for my students I found several issues when trying to create and deploy workflows in Windows Azure Workflow (WAW). After some investigation I found that the problems were due to a change in the credentials of the user account used to run all the required WAW services. Basically, all services were stopped since the change in the credentials hadn’t been propagated to all services and therefore it was completely impossible to deploy any workflow to WAW. Below I will explain how I found the solution. Let’s start with the WAW frontend layer. Open Internet Information Services (IIS) Manager and verify that the Workflow Management Pool (WorkflowMgmtPool) is not stopped. If it’s stopped, you have to change the credentials of the user account being used or event use another user account. Once the changes are applied, re-start the Workflow Management Pool. If the Workflow Management Pool is successfully started, you will be able to browse the workflow service responsible to present any workflow deployed to WAW. The Windows Fabric Host Service. Here I recommend you to start first the Service Bus Message Broker and then the Service Bus Gateway. Again, you have to change user account credentials or the user account itself if you want to re-start each service. And that’s all, after applying all these changes you should be able to create and deploy workflows in the WAW Server. Happy CloudSharing!